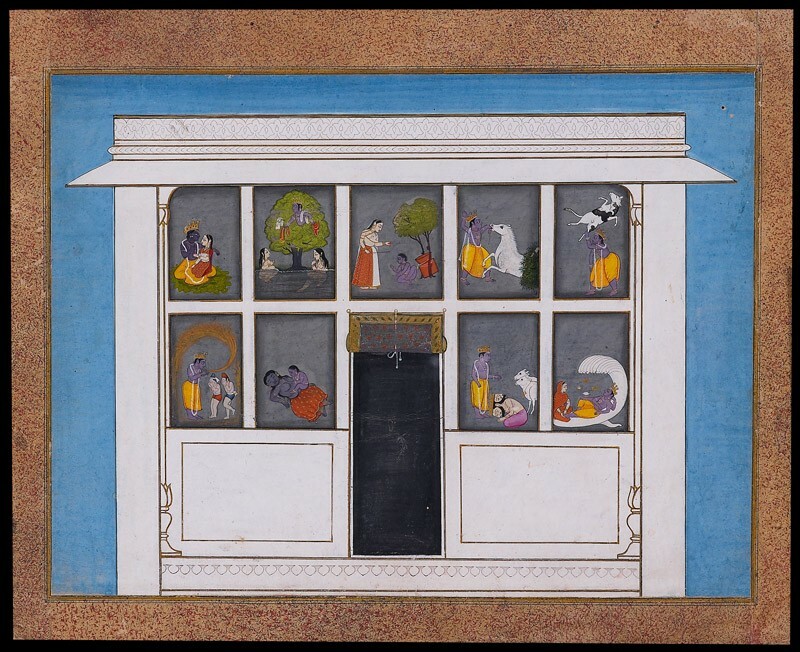 This formal composition shows the facade of a small palace pavilion, with nine painted scenes of the exploits of the young Krishna. From lower right: Vishnu reclines on the snake Shesha; Brahma bows before Krishna; Krishna suckles to death the demoness Putana; and saves the cowherds from the forest fire. 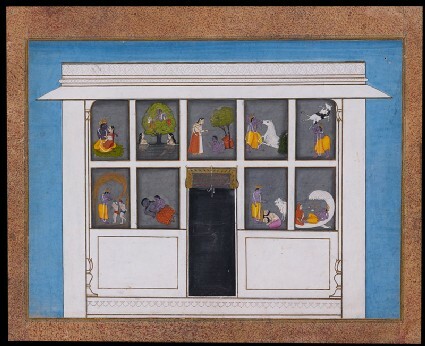 From upper right: he slays the buffalo and horse demons; drags the heavy mortar to which he was tethered; steals the bathing gopis’ clothes; and joins his favourite gopi Radha in the forest.